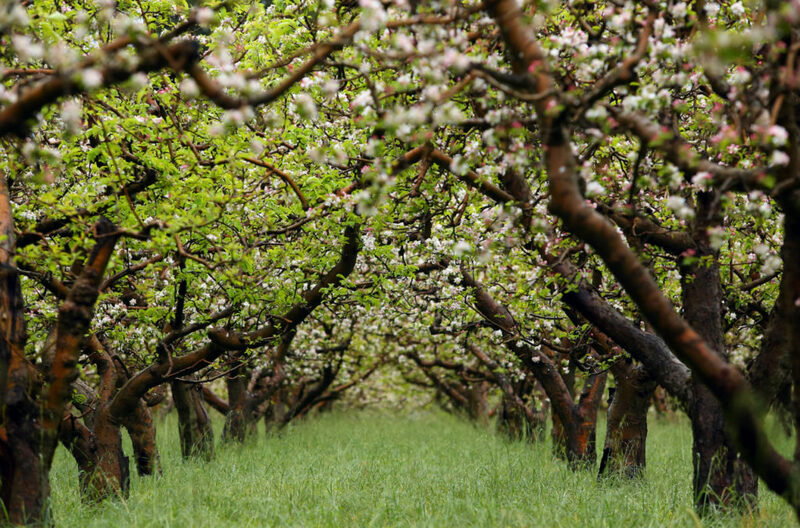 The iconic Gravenstein transformed west Sonoma County into one of the world’s premier apple growing regions. 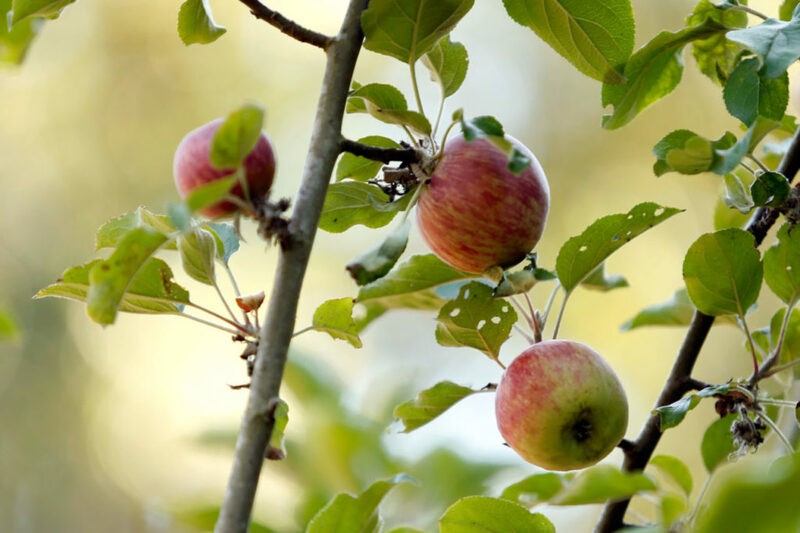 In the booming 1940s, nearly 15,000 acres in the county were planted with apple trees. By 2016, that number had fallen to about 2,200 acres. 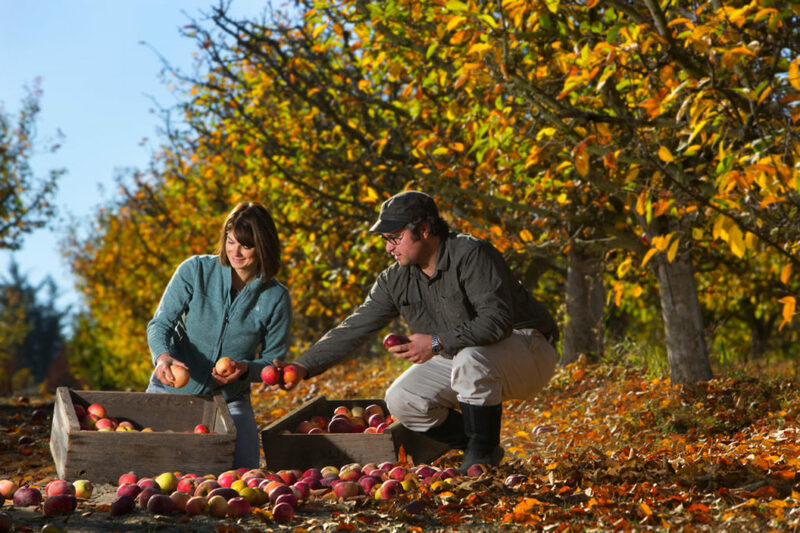 Today, local farmers, cidermakers, environmentalists and chefs work hard to preserve the area's apple heritage. Read the article below and click through the galleries for photo and video. Paula Shatkin and her husband were driving along Sonoma County’s scenic back roads when she first noticed something was amiss. “We saw apple orchards in bloom just being chopped down, willy-nilly, everywhere,” said Shatkin. That was 18 years ago, right when vineyards were booming and apple farmers were having trouble making ends meet. 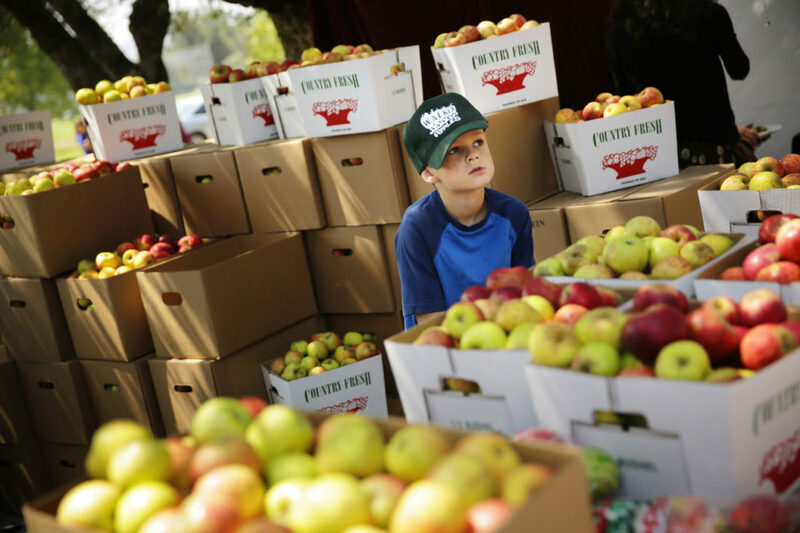 The iconic Gravenstein had transformed west Sonoma County into one of the world’s premier apple growing regions. 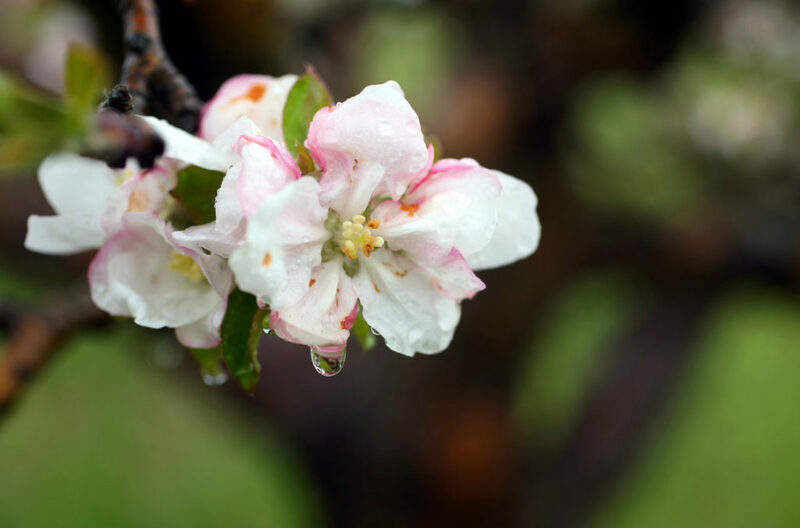 In the booming 1940s, nearly 15,000 acres in the county were planted with apple trees. By 2016, that number had fallen to about 2,200 acres. Shatkin, a social worker, took action. She rallied local growers, preservationists and environmental advocates to create a local chapter of the Slow Food movement, an international effort to preserve local cuisines and promote biodiversity. “Save the Gravenstein” became a popular rallying cry on bumper stickers and store windows in west Sonoma County. Her theory held that informed consumers would be willing to pay more for Gravensteins and other local apple varieties than supermarket standards like Jonathan and Red Delicious. Farmers growing local, organic apples could see higher margins on fresh fruit sales. Shatkin’s Slow Food Russian River was soon on a mission to get more people excited about local apples. Shops in Sebastopol were handing out free, locally grown apples. Banners in town announced “The Gravensteins Are Coming” in July and “The Gravensteins Are Here” in August. The group acquired an apple press and invited residents to press juice at the Luther Burbank farm in Sebastopol. Gravenstein apple production was valued at $1.6 million in 2016, an increase of some $480,000 from the previous year. 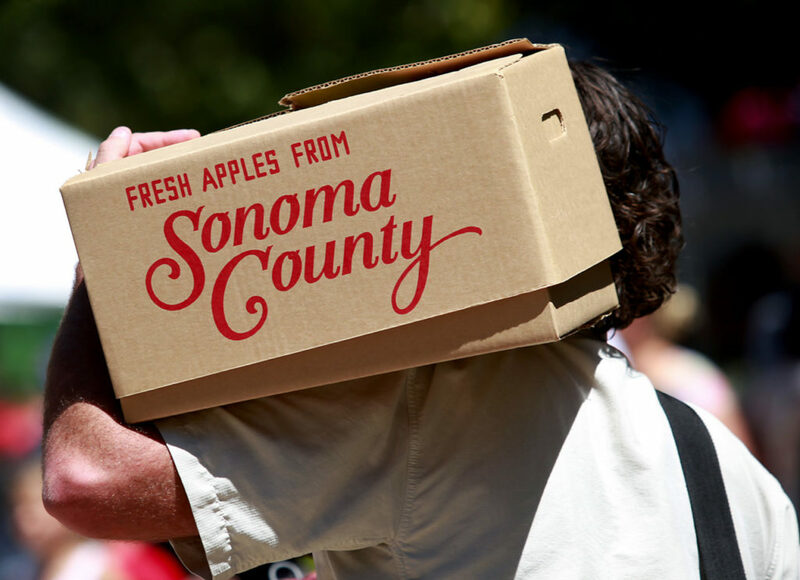 The value of all apples in Sonoma County? Roughly $5.47 million. Most of that money came from processed fruit, rather than fresh apple sales. Sonoma County’s orchards covered about 2,193 acres of land in 2016, a figure that’s remained relatively steady as wine acreage has exploded. Winegrapes now cover more than 60,000 acres. But wine production isn’t the only source of frustration for apple farmers. Sonoma County’s cost of living is steadily on the rise. As fire rebuilding efforts continue, manual labor is in short supply. And Washington State farmers are taking an ever larger piece of the West Coast organic apple market. 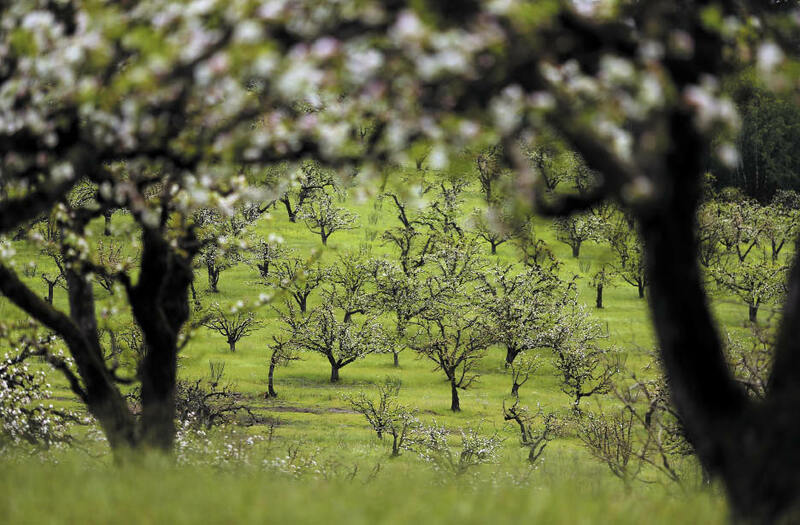 Yet, new hope for Sonoma County’s historic orchards may have arrived. It comes in the form of another alcoholic beverage. 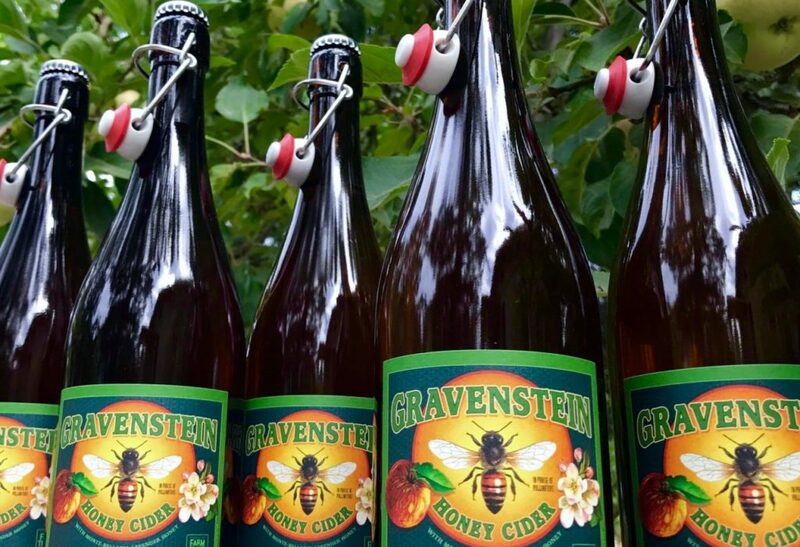 The Gravenstein, derived from Europe and named after a Danish castle, transformed west Sonoma County into one of the world’s premier apple growing regions. 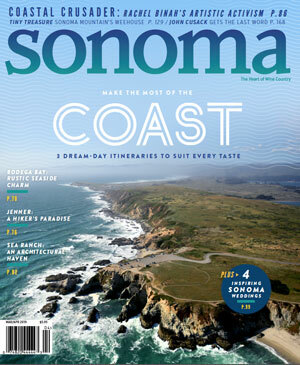 Its namesake highway (CA-116) now runs through what remains of Sonoma’s apple country, north of Sebastopol. In recent years, however, this area has quietly become a destination for cider lovers, with some 10 cideries and a growing numbers of taprooms. 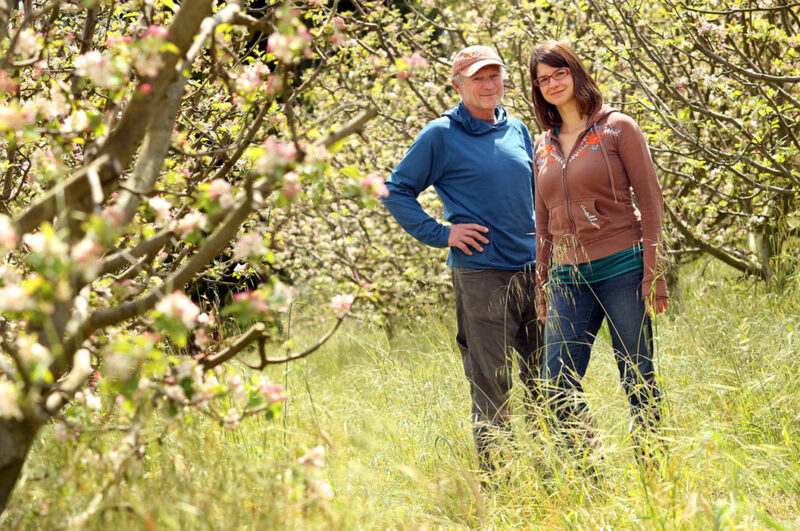 Jolie Devoto-Wade is a second-generation apple farmer. Her parents moved to Sebastopol from Berkeley in 1976 to get back to the land, planting some 50 heirloom varieties of apple and countless flowers. 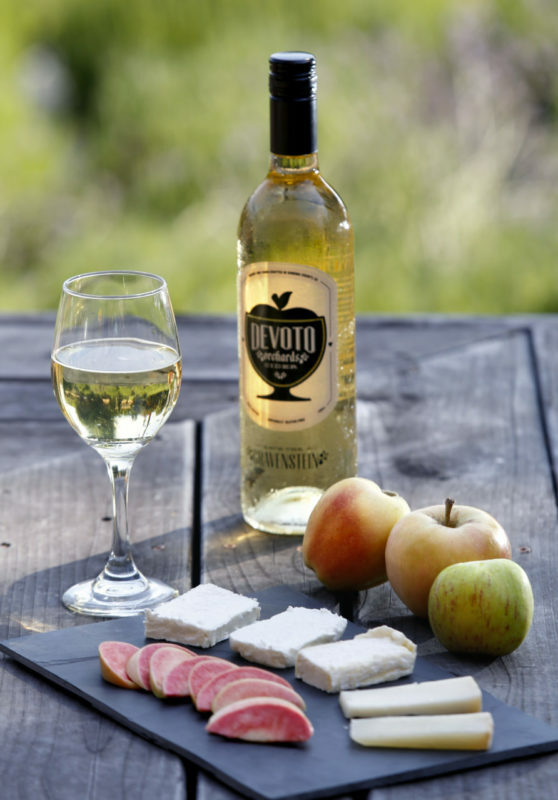 Today, Devoto-Wade runs the cider-making arm of the family business, Devoto Orchards, and sister brand Golden State Cider. In 2012, she and her husband, Hunter, released the family’s first farmhouse cider. A “Save the Gravenstein” cider soon followed. 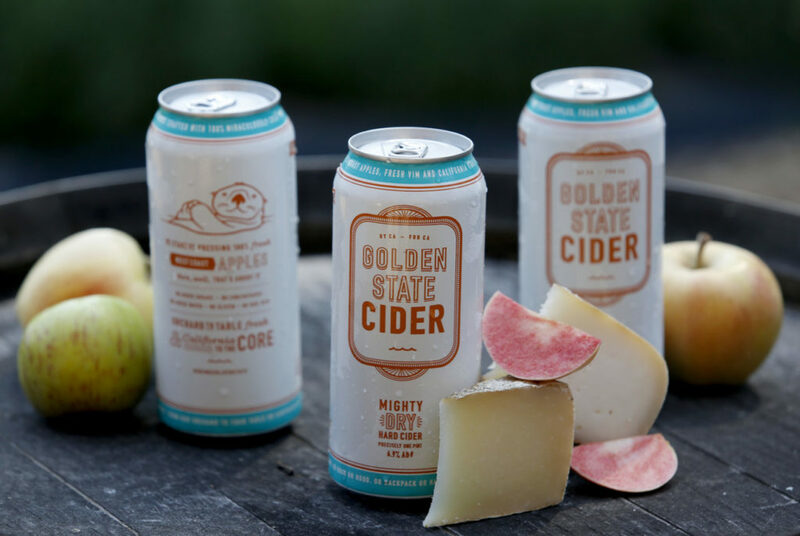 Lately, the family has been selling craft cider in cans as Golden State Cider. Devoto-Wade sees the company’s purchasing power as an opportunity to help local farmers. 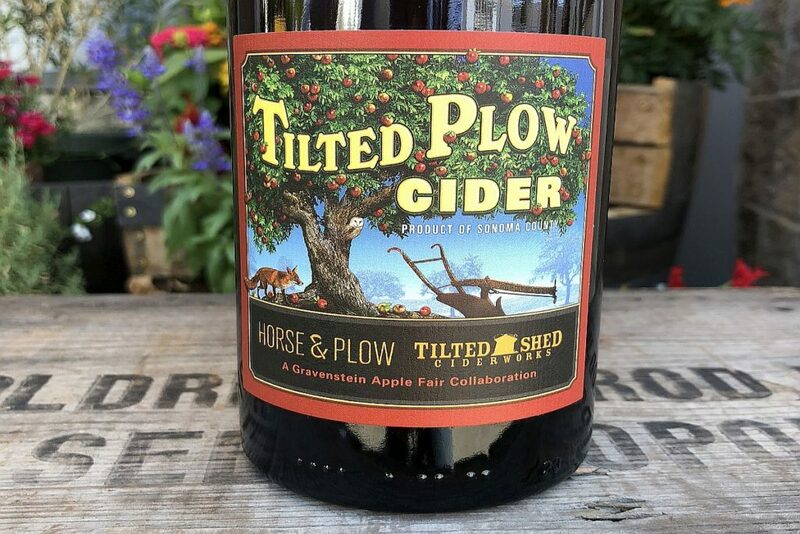 “Honestly, I think craft cider is key for supporting local apple farmers and keeping the Gravenstein going,” said Devoto-Wade. She says the family has plans to open a cider tasting room in The Barlow, a trendy outdoor market in Sebastopol. A fitting location, as the Barlow’s first structures housed an applesauce canning facility in the late 1930s. 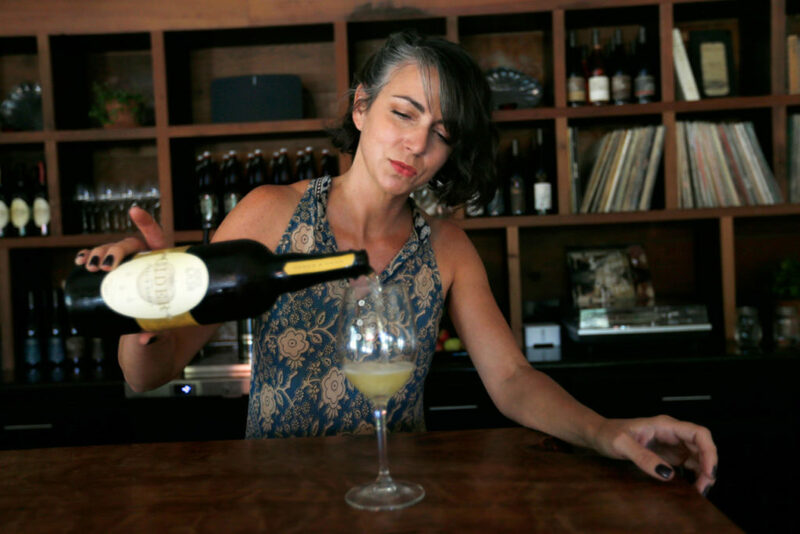 Carmen Snyder, executive director at Sonoma County Farm Trails, also sees hope for local apple farmers in the sourcing-obsessed craft cider industry. Even as craft cider hits its stride, the future of local apple processing remains uncertain. Manzana Products has been producing apple sauce, apple juice and apple cider vinegar in Sebastopol for the last 90 years. Today, it is the last apple-processing facility in a region once dotted with them. Railroad lines that sped tons of crisp, local apples to a hungry San Francisco market in the ’40s and ‘50s are largely gone. It’s a lonely position for Manzana. But the company sees a path forward that would help small farmers and keep the region’s last apple processing plant in operation. Manzana outlines a plan of action that involves meeting with “each grower,” simplifying prices for processing and communicating annual prices to farmers further in advance. The historic cannery is even offering to help apple farmers consider new options for economic stability, like channeling a percentage of their crop to the fresh market. Local farmers, cidermakers, preservationists, environmentalists and chefs have found a true local heirloom in the Gravenstein, a living fruit that captures a distinct sense of place and history. Shatkin says the “uphill” battle to preserve the Gravenstein will continue.